​Titan Armament Co , (TAC) is an authorized tactical dealer. Titan has access to thousands of products thru the best tactical manufacturers available. Please visit the product page and click on the suppliers links for additional items and information. Remember Titan can gunsmith what the customer buy's, free of charge! "In the St. Petersburg area? We offer free installation!!" 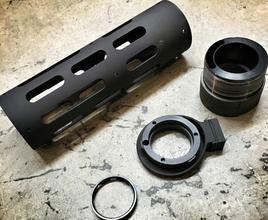 SMC 1" Mount-n-Slot light mount Combo Package. Includes Mount and Surefire G2X 200 lumen Light. Lee Classic Cast Breach Lock Single Stage Press. By Far the best value in a single stage press on the market today. Lee Classic Cast 4 Hole Turret Press. Excellent for pistol and rifle reloading. The best value in the market today. I offer reloading training with the purchase of a press should you need it E-Mail for prices and advice! Lee Pro Auto Disk Powder Measure. Amazing product at an unbeatable price. Meters pistol and rifle powder with extreme accuracy load after load. I will offer you an initial training class on the Single stage or the turret press. This class will be in St. Petersburg Fl and will get you started reloading. Follow up phone assistance is provided as well. Service is the name of the Game, Nobody provides better service than Titan! 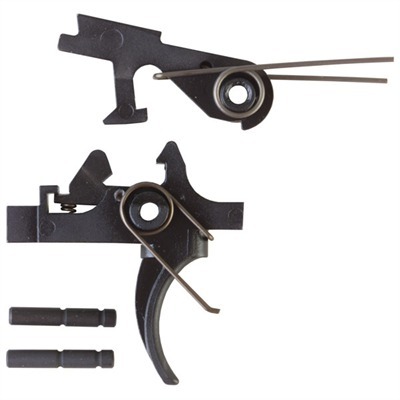 This 45 degree off set rail mount by Weaver is perfect for mounting iron transition sights, lights, or any other accessory you want to fit on a rail. Titan uses this mount with Magpul Gen 2 flip up sights for our 3 gun setup, This mount allows clearance between the flip up rear sight and the side of the rifles fixed scope. Mount one on the upper receiver by the charging handle and the other on your railed gas block or your railed hand guard. 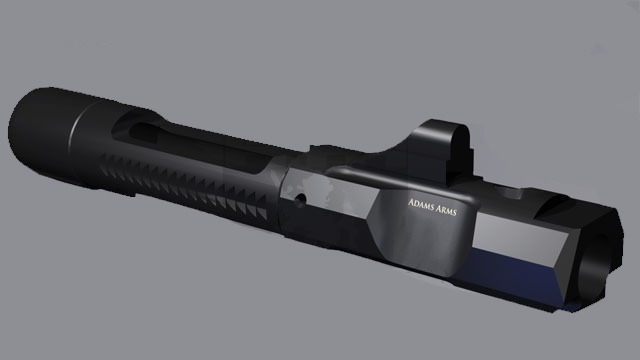 The Adams Arms Gas Piston Conversion Kits for Carbine, Mid Length and Rifle platforms include the above products in kit form with an instructional DVD. "In the St Petersburg area? We offer free installation assistance on these conversions!!" ​This Discreet Carry, well padded case is 26"x12"x4"
120.00 "In The St Petersburg Area? We Offer Free Installation!!" 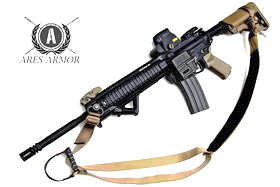 Ares Armor Huskey Momentum Slider Sling. 2 point. 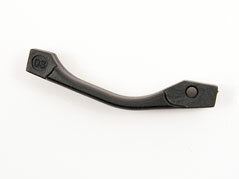 Pull back the slider to lengthen Available in the following colors A-Tacs, Coy, Blk , Multi Cam & OD Gr. 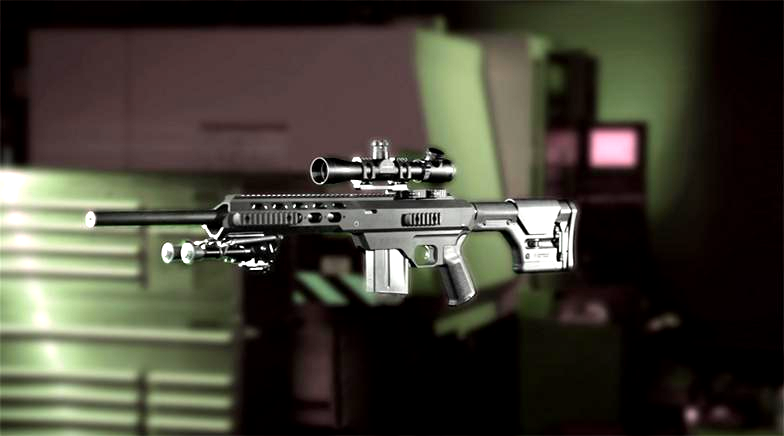 FAB Defense manufactures MIL-SPEC equipment used by the Israeli Defense Forces and other military's worldwide. The Mako Group is the sole importer and distributor of FAB Defense products in the US. AG-43 Pistol Grip. Storage area with hinged door. Mil-Spec reinforced polymer composite, extended beaver Tail for better control. 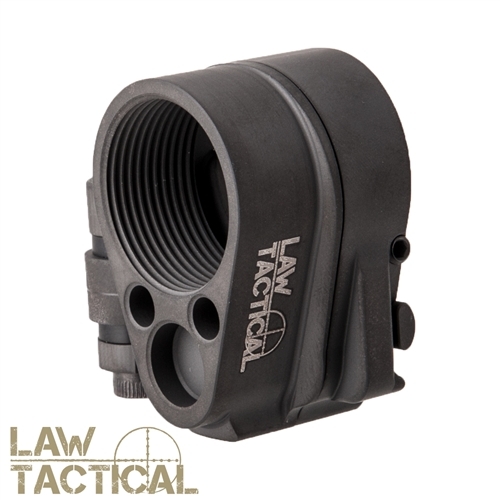 Recoil-reducing M4/AR-15 Stock and adjustable cheek piece - GL-ShockCP. 5 sling attachment points, Adjustable Cheek Riser, Storage Compartment, Mil-Spec reinforced polymer composite, Steel Hardware & Rubber Buttpad. for two CR123A 3V lithium batteries or two AA Batteries. 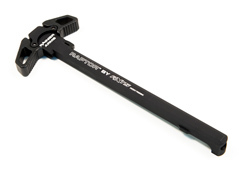 AXTS Raptor™ ambidextrous charging handle by AXTS. The Raptor™ is truly revolutionary in design & function. From rapid palm “blading” or finger thumb charges of the weapon, the motion is fluid & fast from either strong or support side. Made in the USA from aircraft grade 7075 aluminum and mil-spec anodized. KNS, Trigger and hammer pins with lubrication ports and E-Z installation tool. An absolute must-have for all M-16 owners. They will also protect your AR-15. 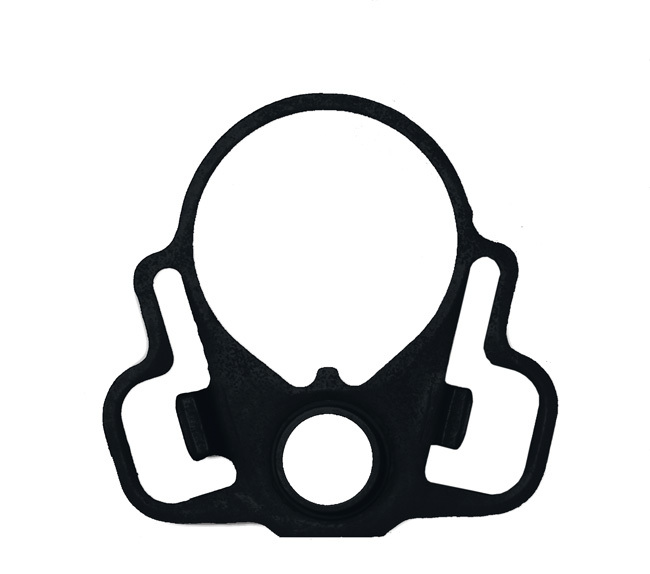 Special anti-creep retainers prevent wear on your irreplaceable M-16 or AR-15 receiver. 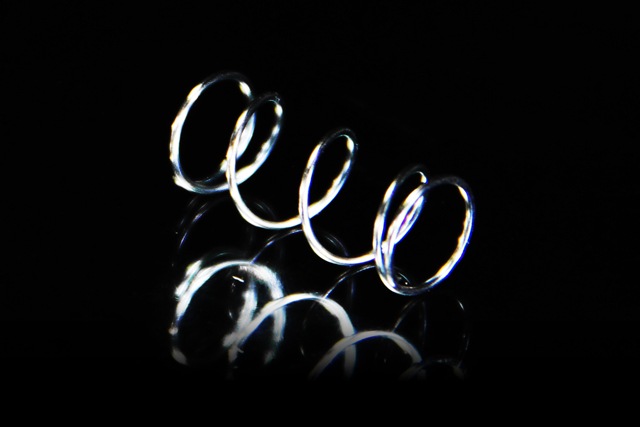 Anti-creep retainers removable for lubricant injection. Pin installation tool & 2 allen wrenches included. No modification to gun required. 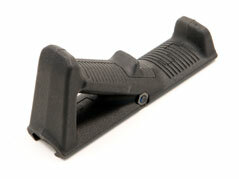 ​Strongest polymer 30 round magazine for the AR15/M16. It features an easy to remove floor plate for easy cleaning, long lasting stainless steel spring & Magpul's own anti-tilt follower. 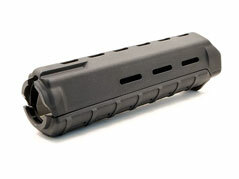 Strongest polymer 20 round magazine for the AR15/M16. It features an easy to remove floor plate for easy cleaning, long lasting stainless steel spring & Magpul's own anti-tilt follower. Ideal for bench shooting. 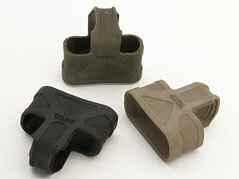 Designed for AR15/M16 Magazines. It fits on the bottom of the magazine for speedy reloading / switching of magazine. It also prevents magazine damage when mag is dropped. 3 Pack- Integral M16/AR15 floor plate replacement with loop for the Magpul PMag. 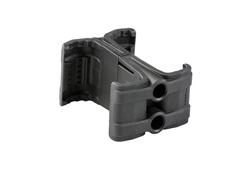 Plate is polymer and over molded with pliable rubber/plastic as used in the Magpuls. Internal lock follower prevents plate sliding off. 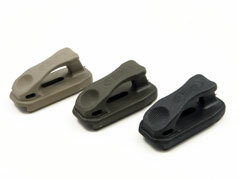 The Magpul Back-Up Sight is a low-cost, color injection molded, folding back-up sight. The Front Sight is adjustable for elevation and fits all mil-spec 1913 Picatinny rail equipped weapons, but is specifically tailored to the AR15/M16/M4 platform. Unlike conventional vertical fore-grips, the Magpul AFG2 (Angled Fore-Grip) takes into account natural body mechanics and provides a comfortable and stable user interface that reduces fatigue and allows for more precise weapon control. By positioning the shooter’s hand high on the centerline of the bore, the AFG2 helps mitigate recoil and control the weapon, facilitating faster, more accurate follow-up shots. 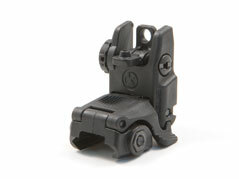 The new Magpul Back-Up Sight GEN 2 is a low-cost, color injection molded, folding back-up sight. The dual aperture MBUS Rear Sight is adjustable for windage and fits all MIL-STD-1913 Picatinny rail equipped weapons, but is specifically tailored to the AR15/M16/M4 platform. 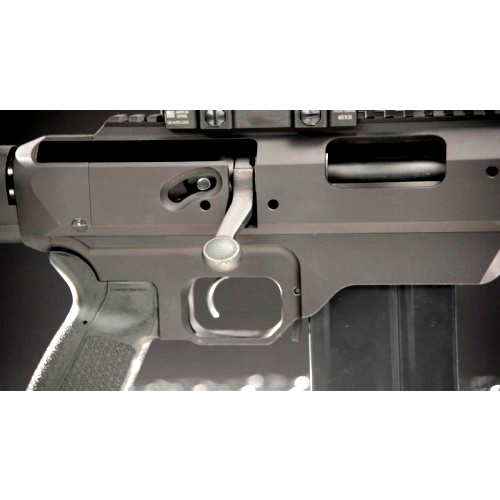 Magpul Enhanced M16 Trigger Guard- A drop in replacement for the standard AR15/M16. Patent Pending design allows for gloved use without having to fold down the trigger guard. Magpul Original Equipment (MOE) Handguards. 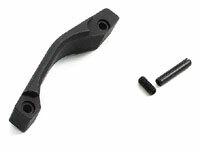 Direct replacement to fit standard AR15/M16 Carbines. 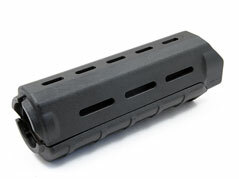 The Magpul MOE Hand Guard for AR15/M16 rifles with mid-length ‘direct impingement’ or external-piston gas systems combines the light weight of a standard hand guard with modular flexibility. 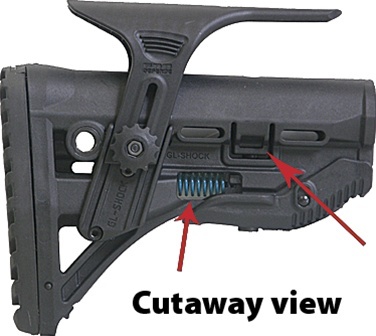 Slots at the two, six, and ten o’clock positions allow for optional mounting of Picatinny rail sections for tactical lights and other accessories. Reinforced, heat-resistant polymer construction provides operational durability without the weight and expense of an aluminum rail hand guard. 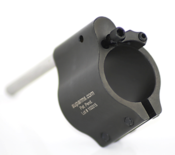 Front extensions and lower lip provides additional operator protection from hot front sight assembly. 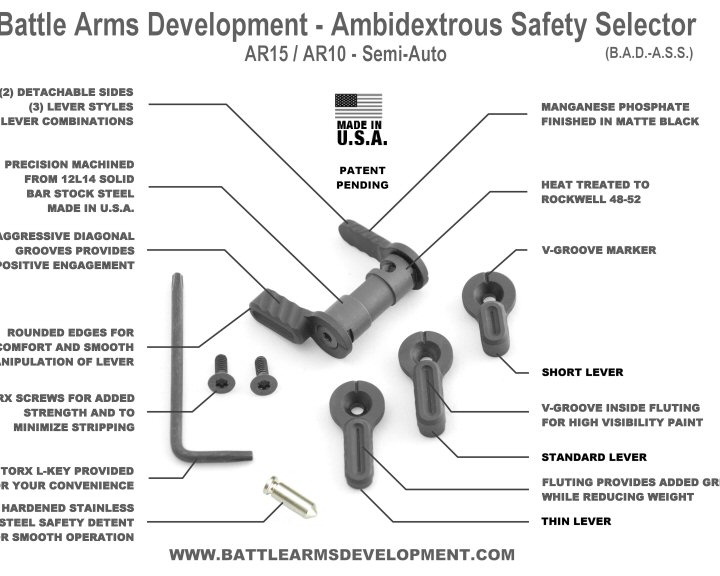 Developed from the operational experience of the Magpul® Dynamics team, the B.A.D. 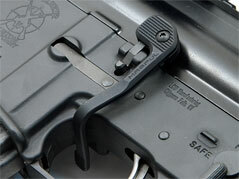 Lever™ (Battery Assist Device) is designed to considerably improve the speed and efficiency of the AR15/M16 bolt catch. The B.A.D. 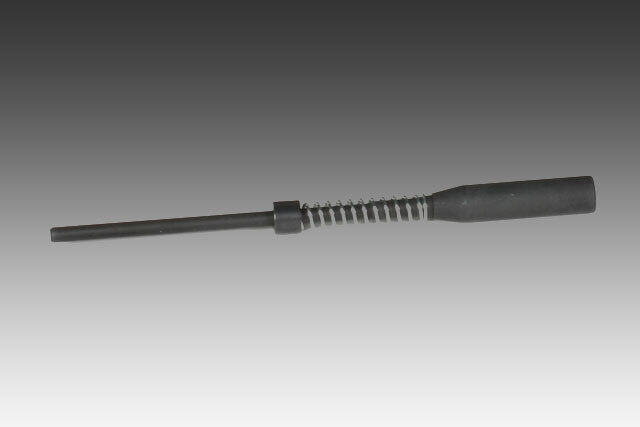 Lever™ quickly addresses reloading and malfunction clearance shortcomings of AR15/M16 platforms by extending a paddle to the right side of the weapon, allowing manipulation of the bolt stop from the fire control/ready position with the right-hand trigger finger. 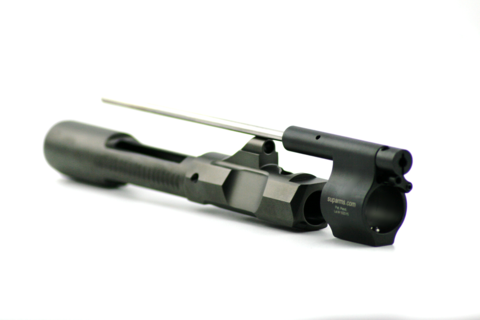 The POF roller cam reduces the friction and drag of the bolt carrier. 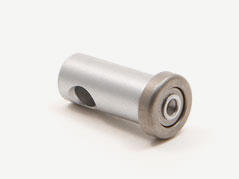 The roller cam pin (rolls) as the action moves. 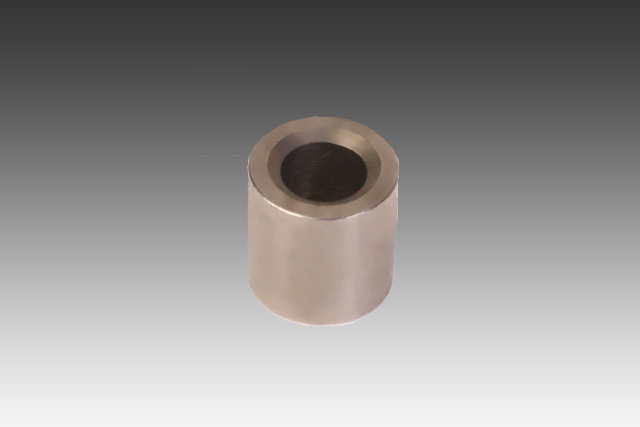 The roller cam pin is NP3 coated and the body is Mil-spec hard chrome plated. This allows the pin to operate without lube. .155 sized pins are slightly oversized. ​The AFG2 is a slim line design that is shorter in overall length and width compared to the AFG1. Smaller size allows for compatibility with a wider variety of rail systems, rail covers, and accessory mounts. 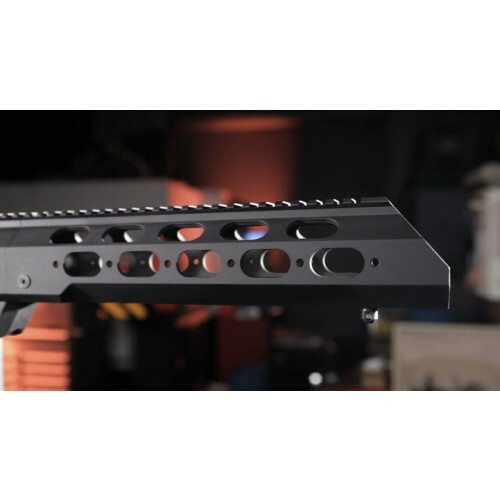 ​Our tactical chassis series is a combination of bench rest accuracy, superior ergonomics and specialized design. The new TAC21® chassis brings the Remington 700 Short Action to the next level in versatility and modularity, with an instant improvement in accuracy. The drop-in chassis serves as a base to which the operator can add tactical components according to the desired functionality. The stock is manufactured out of aluminum hard anodized to mil spec type III, with a top full length MIL-STN-1913 accessories mounting rail. The built-in mounting rail has 20 MOA (Minutes of Angle) on the action housing and is parallel to the barrel axis on the fore-end. Pistol - Carbine - Mid length & Rifle Systems. Melonited - Clamp On orSolid Mount.